With the continued success of AVI-8’s FLYBOY range, May 2016 sees the launch of its newest addition – BLACKTONE automatic. 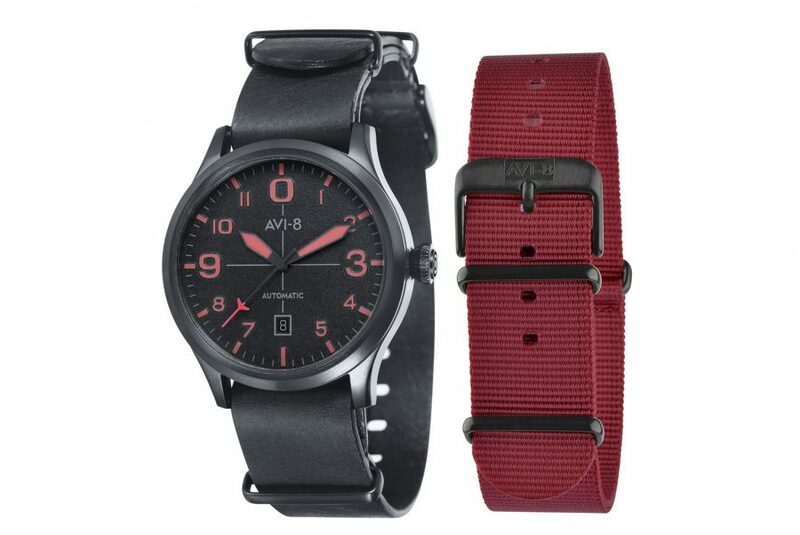 The AVI-8 BLACKTONE execution of the FLYBOY adds a little more flair yet is no less stealthy in design. Upgraded luminosity is available via Super-LumiNova ® on dials and hands, in a choice of four colourways – grey, red, blue, green – visible against the black dial and case. Each FLYBOY BLACKTONE comes with a standard Black Leather Nato for a durable luxurious feel and a matching colour Nylon Nato for added versatility and for those days when the sheer functionality of hardwearing nylon cannot be beat. Priced at £265, the FLYBOY BLACKTONE automatic adds versatility into your summer wardrobe without breaking the bank.